The conflict theory perspective towards education focuses on the role school systems may play in implementing social control. Conflict theory assumes that the ideas of a society are the ideas of the ruling class. Social control refers generally to societal and political mechanisms or processes that regulate individual and group behavior, leading to conformity and compliance to the rules of a given society, state, or social group. Schools can further goals of social control by socializing students into behaving in socially acceptable ways. By means of social control, students are taught the boundaries of acceptable behavior. Informal social control is exercised by a society without explicitly stating these rules, and is expressed through customs, norms, and mores. Social control may be enforced using informal sanctions, which may include shame, ridicule, sarcasm, criticism and disapproval. Social control may also be enforced using formal sanctions. Education may maintain social control through various mechanisms, such as indoctrination, informal sanctions and formal sanctions. By means of social control, students are taught the boundaries of acceptable behavior. indoctrination: Instruction in the rudiments and principles of any science or belief system; information. Formal social control: Societal and political mechanisms or processes that regulate individual and group behavior, leading to conformity and compliance to the rules of a given society, state, or social group undertaken by the state through legal action. Acceptable behavior: Behavior that conforms to social mores and norms. Conflict theory assumes that the ideas held by a society are the ideas of the ruling class. The ruling class uses schools, along with the media and other means of communication, to disseminate ideas that will support its continued rule. Given this assumption, the conflict perspective often focuses on the role school systems may play in influencing public opinion, or implementing social control. Social control refers generally to societal and political mechanisms or processes that regulate individual and group behavior, leading to conformity and compliance to the rules of a given society, state, or social group. Schools can further goals of social control by socializing students into behaving in socially acceptable ways. Some may consider this type of socialization a form of indoctrination. In any case, the social values that are present in individuals are products of informal social control. It is exercised by a society without explicitly stating these rules and is expressed through customs, norms, and mores. Individuals are socialized consciously or subconsciously. Schools as Agents of Socialization: Schools can further goals of social control by socializing students into behaving in socially acceptable ways. Social control may be enforced using informal sanctions, which may include shame, ridicule, sarcasm, criticism and disapproval. In extreme cases sanctions may include social discrimination and exclusion. For example, schoolmates may enforce gender norms by ridiculing boys who undertake actions considered feminine, such as writing poetry or dancing. Informal sanctions can have a powerful effect; individuals internalize the norm, which becomes an aspect of personality. 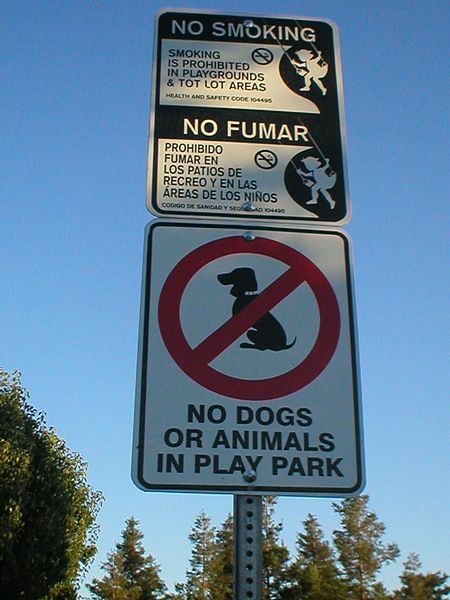 Social control may also be enforced using formal sanctions. Formal sanctions may be used in a large group in which an individual can choose to ignore the sanctions of other individuals. This form of control usually takes the form of government action. Government and organizations use law enforcement mechanisms and other formal sanctions, such as fines and imprisonment. In schools, formal sanctions may include detention, suspension, or other formal punishments. By means of social control, students are taught the boundaries of acceptable behavior. They carry these lessons with them into everyday life and, later, into careers. Thus, the social control lessons learned in school may prepare students, for example, to be a docile proletariat in a capitalist economy. Tracking sorts students into different groups depending on academic ability; however, other factors often influence placement. According to the conflict perspective, capitalism requires that many students be trained to join the working class while a few must be trained to join the ruling capitalist class. One way schools screen and allocate classes of students is by sorting them into different tracks. In a tracking system, students are educated with other students of the same ability level and their education differs depending on the track to which they are assigned. Tracking systems vary by extent, specificity, and flexibility. Traditionally, students were divided into academic, general, and vocational tracks. Advantages of tracking may include the ability of teachers to focus instruction, the potential for students only to be compared to others of similar ability, and the opportunity for high-achieving students to advance more quickly. Disadvantages of tracking may include tracking based on student background instead of ability, poor quality of instruction in lower tracks, and stigmatization of students in lower tracks. Detracking has been proposed as a more equitable alternative to tracking. Conflict Perspective: perspectives in social science based on Conflict Theory, that emphasize the social, political, or material inequality of a social group. 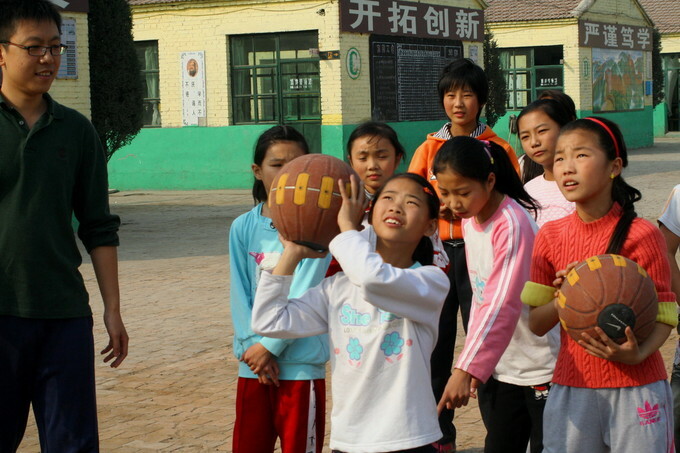 From the conflict perspective, schools play a role in screening and allocating people and their abilities. Advanced capitalist economies require that many students be trained to join the working class while a few must be trained to join the ruling capitalist class. One way schools may begin to sort and differently train classes of students is by sorting them into different tracks. Tracking sorts and separates students by academic ability. In a tracking system, the entire school population is assigned to classes according to whether the students’ overall achievement is above, at, or below what is average. Students attend academic classes only with students whose overall academic achievement is the same as their own. Tracking is one of the predominant organizing practices of American public schools, and has been an accepted feature in the country’s schools for nearly a century. Defined tracks often mirror class divisions in society. Thus, traditionally, students were tracked into academic, general, and vocational tracks. Academic tracks prepare students for advanced study and professions such as medicine or law, whereas general and vocational tracks were meant to prepare students for middle or working class life. Students in academically advanced tracks study higher mathematics, more foreign languages, and literature. Students in less academic tracks acquire vocational skills such as welding or cosmetology, or business skills, such as typing or bookkeeping. Students are usually not offered the opportunity to take classes deemed more appropriate for another track, even if the student has a demonstrated interest and ability in the subject. Today, few schools use tracking systems that so overtly differentiate upper, middle, and working class skills. Instead, many secondary schools now base track levels on course difficulty, with tracks such as basic, honors, or college-prep. Tracking systems vary widely in their characteristics. Some may extend to the entire school system so that students follow a track that begins in elementary school and continues until high school graduation. Other schools may use tracking only for certain classes or subjects. Systems may also vary in their flexibility and the opportunities for mobility given to students. In some cases, placement is based entirely on student preferences. In other cases, test scores may be used to determine a student’s track. Counselors may also work with students to choose a particular class that in turn puts them on a given track. Parents and peers may influence academic choices even more than guidance counselors by encouraging students with similar backgrounds (academic, vocational, ethnic, religious, or racial) to stay together. Other times, students are placed into tracks without any knowledge or input into the process. Proponents of tracking say that tracking allows teachers to better direct lessons toward the specific ability level of the students in each class. Research suggests that tracking produces substantial gains for gifted students in tracks specially designed for the gifted and talented, meeting the need for highly gifted students to be with their intellectual peers in order to be appropriately challenged. However, average and low achieving students may benefit more from being in a mixed ability classroom. Since tracking separates students by ability, students’ work is only compared to that of similar-ability peers. Thus, tracking may have emotional benefits for students: it may prevent damage to self-esteem that could result from comparisons with the work of higher ability students or inflating the egos of the high-ability students when compared to low-ability students. Tracking can also encourage low-ability students to participate in class. Since high self-esteem is correlated with high academic achievement, tracking should, theoretically, promote academic success. However, the awareness by the student of being placed into a low track might lower self-esteem, counteracting this benefit. From the conflict perspective, tracking’s primary function is not necessarily to promote learning; it is the allocation of students into specific areas of the labor market. Although track assignment is theoretically based on academic ability, other factors often influence placement. When tracking is based not on ability but instead on student background, it becomes a form of segregation and discrimination. Students in lower tracks may receive poorer quality instruction, with less-experienced teachers being assigned to low-track classes. Lessons taught in low-track classes often lack the engagement and comprehensiveness of the high-track lessons, putting low-track students at a disadvantage for college because they do not gain the knowledge and skills of the upper-track students. Tracking can also result in a stigmatization of low-track students. This stigmatization can have a negative impact on students’ academic performance; for example, students placed in low tracks may lose confidence in their abilities, and their low confidence may be reinforced by teachers’ low expectations and their stigmatization by peers. Some research suggests that students in lower tracks are more likely to drop out of school or participate in criminal activities. 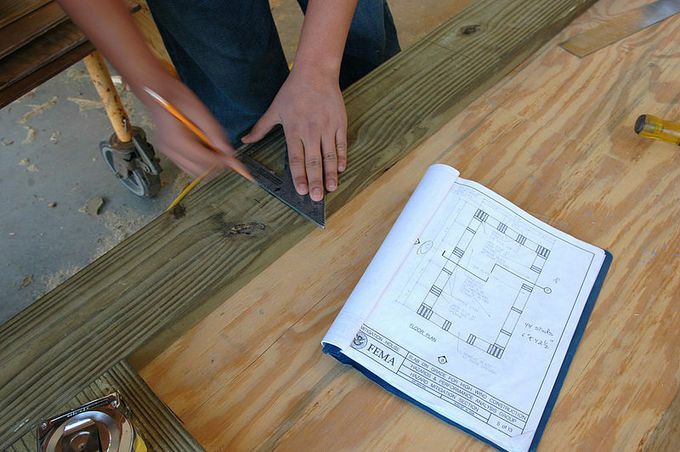 Vocational track: Students in a vocational track may learn skills such as wood working. Credentialism refers to the common practice of relying on earned credentials when hiring staff or assigning social status. Credentialism is common in employment decisions, especially for white collar jobs. Credential inflation occurs when the value of a credential declines because too many potential employees possess the credential. In his 1979 book The Credential Society, sociologist Randall Collins examined the connection between credentialism and stratification. credential inflation: The process by which credentials lose value as more and more people earn a particular credential. credentialism: The common practice of relying on earned credentials when hiring staff or assigning social status. The Credential Society: A 1979 book by Randall Collins which argues that public schools are social institutions that teach and reward middle class values of competition and achievement. Credentialism refers to the common practice of relying on earned credentials when hiring staff or assigning social status. Instead of directly evaluating an individual’s abilities, evaluators study that person’s credentials as a shortcut to estimate their competencies. Besides attesting to one’s abilities, credentials may also grant the holder access to restricted areas, information, or activities. For example, security clearances and press passes are credentials that grant access to otherwise restricted areas. A medical license is a credential that grants the ability to practice an otherwise restricted activity. Credentials are attestations of qualification, competence, or authority issued to an individual by a third party with a relevant or de facto authority to do so. Common examples of credentials are academic diplomas, academic degrees, certifications, security clearances, and licenses. 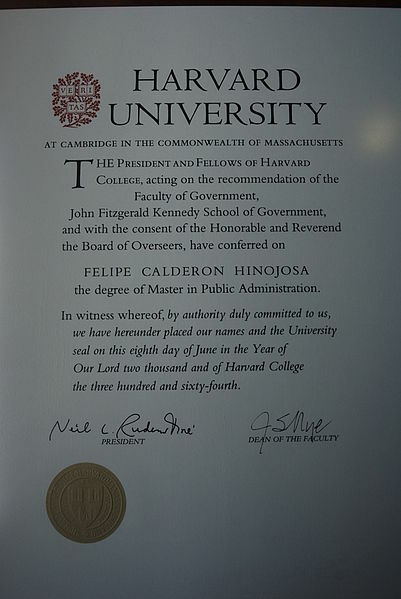 Credentials are often represented by documents, such as diplomas, certificates, or membership cards. A diploma: A diploma is a type of credential. The academic world makes very extensive use of credentials, such as diplomas, certificates, and degrees, in order to attest to the completion of specific training or education programs by students, and to attest to their successful completion of tests and exams. Receiving these credentials often leads to increased economic mobility and work opportunity. Employers also commonly use credentials. For example, an employer may require a diploma, professional license, or academic degree. In a credential society, such certifications may become more important than actual skills or abilities. In some cases, employers may require formal credentials, such as an advanced academic degree, for a job that can be done perfectly well by applying skills acquired through experience or informal study. This type of credentialism is common in white-collar jobs, which require workers to have difficult-to-measure skills such as critical thinking. Rather than measure or evaluate those skills directly, employers assume that anyone able to earn a credential must possess those skills. Over time, credentials may lose value, especially as more and more people earn that credential. This process is referred to as credential inflation. When credentials are inflated, they give individuals less advantage on the job market. A good example of credential inflation is the decline in the value of the U.S. high school diploma since the beginning of the twentieth century, when it was held by less than 10% of the population. At the time, high school diplomas attested to middle- class respectability, and for many years even provided access to managerial level jobs. More recently, however, the high school diploma barely qualifies the graduate for manual or menial service work. Another indicator of credential inflation is the relative decline in the wage differential between those with college degrees and those with only high school diplomas. Jobs that were open to high school graduates a century ago now routinely require not just a bachelor’s degree, but a master’s degree as well—without an appreciable change in required skills. According to sociologist Randall Collins, understanding credentialism can help explain class-based differences in educational attainment. In his 1979 book The Credential Society, Collins argued that public schools are socializing institutions that teach and reward middle class values of competition and achievement. In this system, Anglo-Protestant elites are selectively separated from other students and placed into prestigious schools and colleges, where they are trained to hold positions of power. By teaching middle class culture through the public education system, the elite class ensures a monopoly over positions of power, while others acquire the credentials to compete in a subordinate job market and economy. In this way, schools of medicine, law, and elite institutions have remained closed to members of lower classes. To succeed in college, students must learn a second, hidden curriculum to meet unstated academic and social norms. In 1970, Benson Snyder, a dean at the Massachusetts Institute of Technology, published a book called The Hidden Curriculum. According to Snyder, the hidden curriculum goes beyond the explicit demands of the formal curriculum. Creativity and wonder are stifled as students shift their exclusive focus to earning high grades and giving correct answers. As a result of conflict over the hidden curriculum, students experience intense personal anxiety, depression, and alienation. curriculum: The set of courses, coursework, and content, offered at a school or university. The Hidden Curriculum: A book published in 1970 by Benson Snyder, a dean at the Massachusetts Institute of Technology, that argues that the college experience is inherently marked by conflict between students and instructors as students struggle to meet unstated academic goals. selective negligence: A strategy adopted by students to succeed in education, in which they selectively neglect portions of their formal schoolwork in order to glance at all of it. In 1970, Benson Snyder, a dean at the Massachusetts Institute of Technology, published a book called The Hidden Curriculum. In it, he argued that the college experience is inherently marked by conflict between students and instructors. In this conflict, students struggle to meet unstated academic and social norms, or a hidden curriculum. Those who master the hidden curriculum excel while those who do not often fail, no matter their academic abilities. According to Snyder, the hidden curriculum goes beyond the explicit demands of the formal curriculum. The goals and requirements of the hidden curriculum are unstated, but inflexible. They concern not what students learn but how and when they learn. The hidden curriculum is rooted in professors’ assumptions and values, students’ expectations, and the social context in which both professors and students find themselves. To succeed, students must adapt and often resort to ploys and stratagems to cope with the requirements they face. For example, students may adopt a strategy of selective negligence. Within the first month of classes, many students discover they cannot conceivably complete all the work assigned them; consequently, they must selectively neglect portions of the formal schoolwork. Education becomes a grueling competition rather than an enjoyable quest for knowledge. Creativity and wonder are stifled as students shift their exclusive focus to earning high grades and giving correct answers. Students, Snyder maintains, increasingly view their education as a type of game they must master. As a result of conflict over the hidden curriculum, students experience intense personal anxiety, depression, and alienation. Some, even the most gifted, are turned off to education altogether. Students may feel frustration and anger at professors who deny them high grades, who object to creativity, and who demand that students fall in line with the hidden curriculum. But typically students must contain this anger or direct it inward. Students may judge themselves harshly, and those judgments may be reinforced by peers and professors. No part of the university community, writes Snyder, desires the end result created by this process. The professors, too, are distracted and pressured, whether by the need to maintain institutional prestige or by the sheer frenzy of activity interrupting their creative cycles. Yet everyone, professors included, becomes locked into the competition. Opening Convocation at Brown University: These students are just beginning their college education, where they may also have to learn a hidden curriculum. IQ is meant to measure intelligence but its validity as a measure of intelligence has been debated. The concept of intelligence itself may be culturally variable. Although some find evidence of a race -based IQ gap, others argue that race is not a causal variable and that race-based IQ differences are in fact caused by other differences correlated with race, such as health, wealth, and educational disparities. Socioeconomic status can affect many aspects of life, and therefore seems like a likely environmental influence on intelligence. Systemically disadvantaged minorities, such as the blacks in the United States, generally perform worse in the educational system and in intelligence tests than the majority groups or less disadvantaged minorities. Several studies have proposed that a large part of the IQ gap can be attributed to differences in quality of education. Peer groups and family can influence behavior and values. IQ gap: The gap in average IQ scores between populations, usually measured along racial lines, though with much disagreement. Environmental factors: Factors that come from one’s environment, upbringing, or social situation, rather than biology. intelligence: Capacity of mind, especially to understand principles, truths, facts or meanings, acquire knowledge, and apply it to practice; the ability to learn and comprehend. Intelligence is commonly measured using intelligence quotient (IQ) tests, which are meant to be a general measure of intelligence. However, IQ tests only measure a narrow band of the broad spectrum of intelligence, excluding factors such as creativity or emotional intelligence. Some researchers have raised more serious questions about the validity of IQ tests for measuring intelligence, especially across cultures. For example, IQ tests may be inappropriate for measuring intelligence in non-industrialized communities, because they focus on modern, rational-style thinking, a type of reasoning that is common in the modern industrial West but may be alien to other cultures. Although some find evidence of a race-based IQ gap, others argue that race is not a causal variable and that race-based IQ differences are in fact caused by other differences such as health, wealth, and educational disparities. In the United States, IQ tests have consistently demonstrated a significant degree of variation between different racial groups. On average, IQ scores are highest among Asian Americans, lower among whites, and lowest among blacks. Yet these IQ gaps are only observed in average scores and say very little about individuals. Plus, IQ scores show considerable overlap between these group scores, and individuals of each group can be found at all points on the IQ spectrum. Thus, the implications of the IQ gaps are unclear. And while the existence of racial IQ gaps is well-documented, researchers have not reached a consensus as to their cause. In general, explanations fall into one of two camps: genetic explanations and environmental explanations. Explanations of ethnically innate intelligence were fairly common early in the twentieth century, with the rise of the American eugenics movement. But after World War II, they quickly fell out of favor over fear of being associated with Nazism. Today, even those who believe intelligence may have some genetic component tend to acknowledge the importance of environmental effects as well. Many researchers are reluctant to adopt genetic explanations of the IQ gap because of their historical and political implications. The connection between race and intelligence has been a subject of debate in both popular science and academic research since the inception of intelligence testing in the early twentieth century. But even before IQ tests were invented, claims of race-based intelligence gaps were used to justify colonialism, slavery, and racial eugenics. In the late nineteenth and early twentieth centuries, much of the “scientific” evidence for racial intelligence gaps came from measurements such as brain size or reaction times. 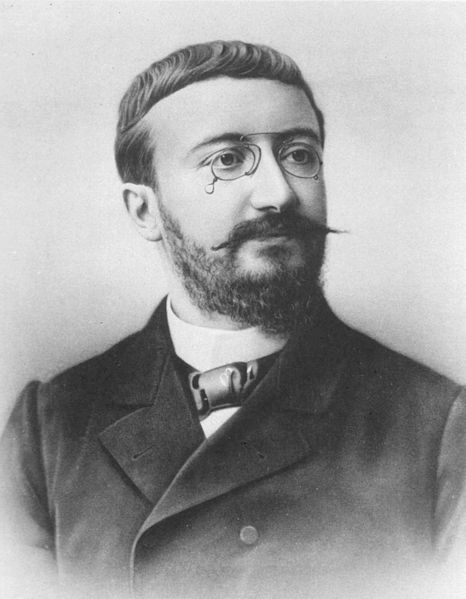 Alfred Binet: Alfred Binet was a French psychologist who invented the IQ test. The first IQ test was created between 1905 and 1908 and revised in 1916, during a time when Americans were quite concerned about an influx of new immigrants. Different nationalities were sometimes thought to comprise different races, especially nationalities newer to the United States, such as the Irish, the Slavs, and the Italians. Alfred Binet, the developer of these tests, warned that they should not be used to measure innate intelligence or to label individuals. Despite his warnings, the tests were used to evaluate draftees for World War I, and researchers found that people of southern and eastern European backgrounds scored lower than native-born Americans. At the time, such data was used to construct an ethnically based social hierarchy, one in which immigrants were rejected as unfit for service and mentally defective. It was not until later that researchers realized that lower language skills by new English speakers affected their scores on the tests. Researchers have suggested a wide array of environmental factors that might influence intelligence. In general, these factors are not mutually exclusive with one another: more than one of them may come into play at the same time. In fact, some may even directly contribute to others. Furthermore, the relationship between genetics and environmental factors is likely complicated. For example, the differences in socioeconomic environment for a child may be due to differences in genetic IQ for the parents, and the differences in average brain size between races could be the result of nutritional factors. Socioeconomic status can affect many aspects of life, and therefore seems like a likely environmental influence on intelligence. People who grow up in a community with lower socioeconomic status may have fewer enrichment opportunities (like going to museums) or a less stimulating home environment, as well as unequal access to health care, nutritious food, and quality education. But research suggests that differences in socioeconomic status cannot entirely explain the IQ gap. In part, this is because the effects of socioeconomic status are hard to isolate and measure, and are probably not independent of intelligence itself. Because schools are funded by property taxes, schools in poor areas receive less funding then schools in wealthier areas. In the United States, most public schools are funded primarily through local property taxes. According to the American dream, children should be able to use their education to achieve upward mobility. Educational deficits resulting from inequality also affect future life trajectories. 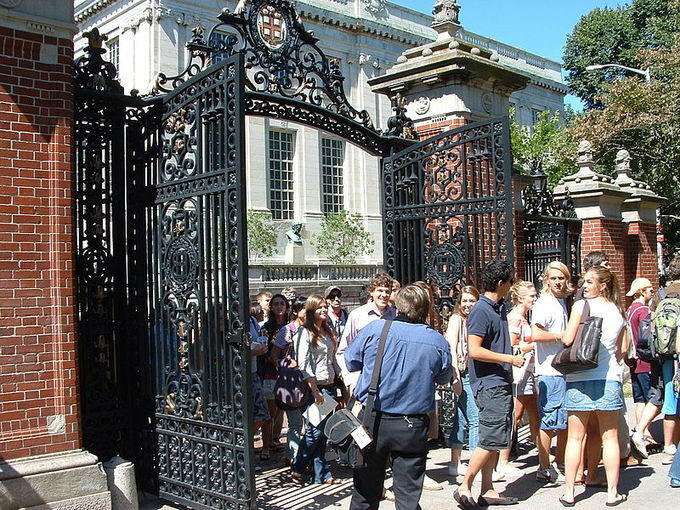 Colleges tend to draw students from a relatively advantaged background because of their high costs and stiff academic requirements for enrollment. Because colleges want to maintain their rankings in various college ranking systems, colleges favor students with higher standardized test scores and aggressively recruit them using “merit” scholarships. property taxes: Taxes levied by the government on landowners’ property. Upward mobility: A change in a person’s social status resulting in that person rising to a higher position in the status system. public school: A publicly administered school. In the United States, most public schools are funded primarily through local property taxes. As a result, schools in wealthier neighborhoods have substantially larger budgets, which translates into better facilities, better teachers, and better resources. Whereas some people laud education as the great equalizer, others observe the effects of school funding schemes and conclude that they actually reinforce inequality and stratification. According to the American dream, children should be able to use their education to achieve upward mobility. But unequal school funding may afford students from poorer families fewer opportunities, reinforcing the status quo. Educational deficits resulting from inequality also affect future life trajectories. Colleges tend to draw students from a relatively advantaged background because of their high costs and stiff academic requirements for enrollment. What’s more, because colleges want to maintain their rankings in various college ranking systems, colleges favor students with higher standardized test scores and aggressively recruit them using “merit” scholarships. In 2000, affluent students, students who could otherwise afford to pay for college, received “merit” scholarships worth 82% of the need-based aid received by students with the lowest family incomes. In other words, affluent students who can pay for college often do not have to because the advantages they received attending better elementary, middle, and high schools translated into higher standardized test scores, which are attractive to universities when it comes to recruiting. As a result, there is less funding available for students who actually need it. This ends up reinforcing the existing status hierarchy by keeping the affluent wealthy, and the poor unable to attend college. 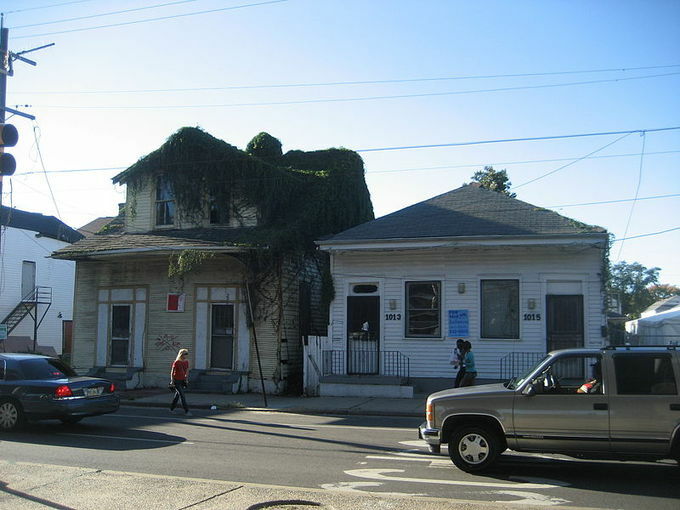 Property Tax and School Funding: Since school funding is often based on property taxes, poorer neighborhoods may have less money available for schools.